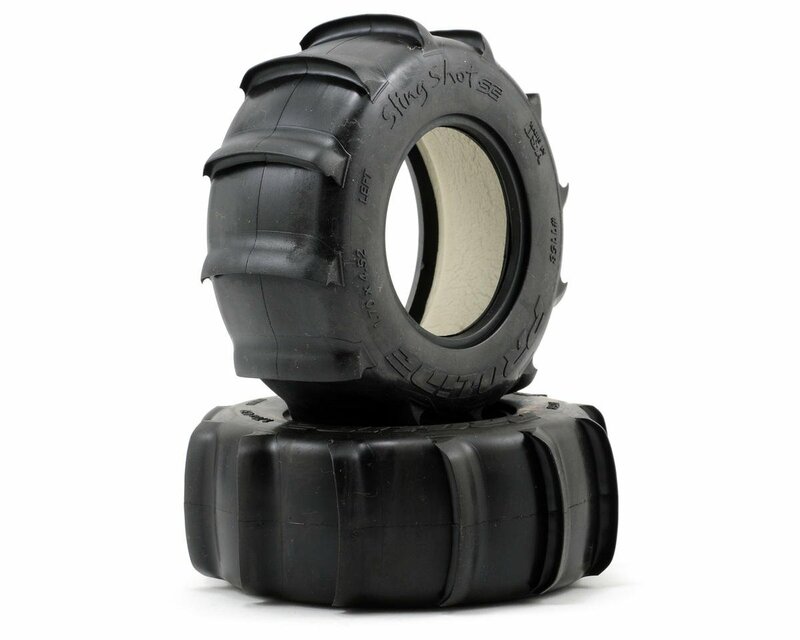 This is a set of two Pro-Line Sling Shot SC 2.2/3.0 Tires and are intended for use on the front or rear of the Traxxas Slash, Slash 4x4, and Slayer, as well as the Associated SC10 and HPI Blitz short course trucks. Turn your Short Course Truck into a sand slinging super truck with Pro-Line Sling Shot SC tires. With 10 monster grabbing ¼” tall paddles sand and snow are easily overcome. I run these on my Blitz in the dunes and the hook up is great, even with Badlands forwards drive is average in the dunes, but with the paddles the truck hooks up hard and the roost is sweet! Use these for the correct intended surface (sand) and they last very well. 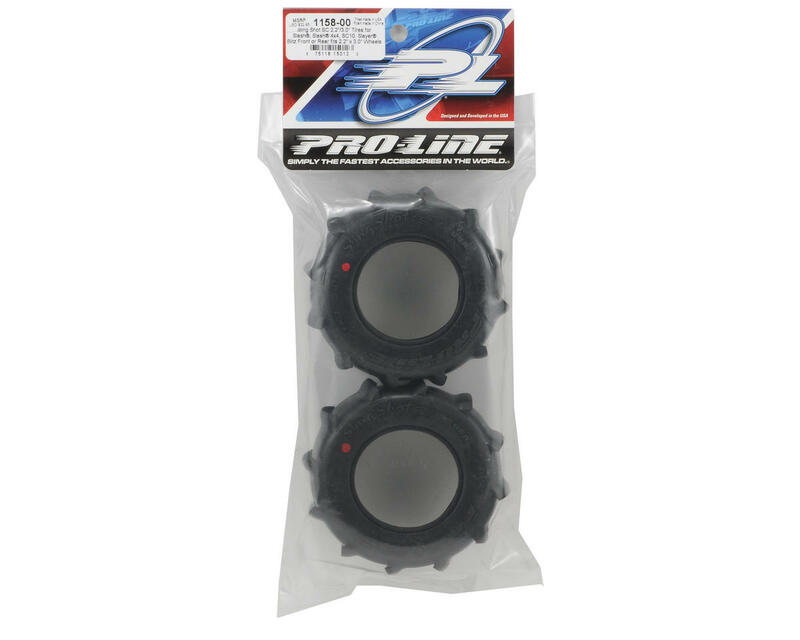 They work amazingly well on very loose dirt/sand, sand/hardpacked sand, and grass. I accidentally tore up about 4 feet of grass in two tire-wide rows and my parents made me reseed that area. These are not for very icy snow since that will wear them excessively. pro-line is the best!! I love these tires... They make the sand fun, I HATE sand!! Great paddle tires, I haven't noticed any wearing like others seem to have experienced. Only wish they were a bit wider like the Vaterra paddles.